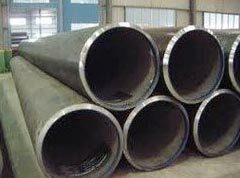 We have carved a niche as Manufacturer, Supplier and Exporter of AISI 317L Stainless Steel Seamless Pipes & Tubes in Maharashtra, India. They are fabricated by our team of adroit professionals under the stringent supervision of experts. We make use of qualitative Stainless Steel that is non-corrosive in nature for designing sturdy Pipes & Tubes. The whole lot of our SS Pipes and Tubes is inexpensive.